I recently got access to the yet publicly unreleased short film directed by Luc Plissonneau Izak's Choice (Les Mains). After watching it, together with Plissonneau's previous effort The Red Thread (Fil Rouge), I decided to write a few words about both of the short films and their creator. 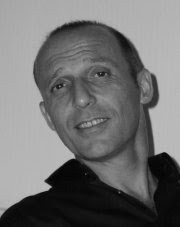 Luc Plissonneau is a French director and writer born in Bordeaux, France. So far, he has released several short films and apparently making shorts has just strengthen his desire to make feature-length movies cause I've got information that he is currently working on several lengthier scripts, including one expanding the story of The Red Thread. Izak's Choice is the latest film by Luc Plissonneau, made in 2011, and as far as I know it has not been publicly released yet. This short movie is about Izak, a talented but unsuccessful piano player, and his choices. He has chosen to live an alienated life, a decision that is further reinforced by a series of failures. He wants to work as a piano teacher but intentionally ruins all of the opportunities that stand in his way. Finally, he meets a 16-year-old girl, Lucie, and he chooses her as both his sole piano student and subsequently his lover. The relationship changes the lives of both of them and Izak manages to win an audition for playing a major concert at last. After the audition, something terrible happens to Lucie and Izak has to make yet another choice. The cast of Izak's Choice sports the name of Serbian-American pianist Ivan Ilić who plays the leading role of Izak. He and the rest of the actors do their job quite well. 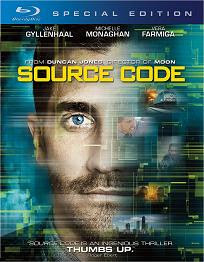 The direction and writing are overall good although the scene before the accident could have been made more convincing. If I strain myself to share a bit more of a criticism, the song at the end of the movie does not fit perfectly well for me but it could be due to my almost non-existent French skills, thus my inability to realize its purpose without the usage of the provided English translation. The film ends on a high note without leaning on a Hollywoodish happy end. The notions of love, self-sacrifice and the right of everybody to have a decent life and realization independently of physical or emotional defects are demonstrated with credibility. Superfluously sentimental and corny moments are practically missing. The camera work and the editing are nice to watch. And all in all, Izak's Choice is an easy recommendation for everyone. The Red Thread has been released in November 2008. It is centered around Achille Lambert, an ancestral wine producer from Bordeaux, who is an elderly man with poor health. 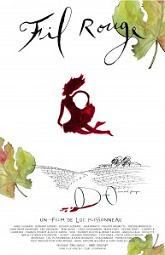 His daughter Roxane arranges a blind wine tasting for him, preparing several different bottles, each of which is coming from a particular vintage matching crucial periods in Achille's life. The taste of the wine brings important memories to Lambert's mind that enlighten us on his cornerstones in life. The wine induced memories assisted by intermediate short talks with his daughter help Achille to ease a burden he has carried for his entire life. In its short time-span (about 15 minutes), The Red Thread manages to provoke a bunch of feelings and emotions. Well, you won't laugh hysterically during the movie but obviously this has not been among the author's intentions anyway. The film tells the story of Lambert's family and as such it's a tale of life and the variety of states and sensations it offers to a regular man throughout his existence. Since the film is dealing with a large period of time and explores timeless matters, my anticipation is it will work quite well as a feature-length film too. Even without any addition of essentially new episodes (or bottles of wine), a full feature film could elaborate enough just upon the current ones. Time will tell if I have been right. And meanwhile, you can sense the bouquet of emotions The Red Thread produces here. Both, Izak's Choice (Les Mains) and The Red Thread (Fil Rouge), share a lot of similarities despite being substantially different and non-repetitive. Each movie is non-linear, composed of separate episodes accentuating key events for the lead character. Either of the two short films shows the importance of the choices we make in life. Both of the movies are indistinct to a degree in the beginning but towards the end everything becomes perfectly clear and Luc Plissonneau puts each piece of the puzzle into its proper place. At the end, each of the films leaves you with satisfactory and lightening feeling. For an even more pleasant experience I advise to give the movies a second try and just enjoy the already arranged puzzles in their screen continuity. After all, among the advantages of short films is natural proneness to recurrent viewings due to their length. Free Blu-ray Player Software / Region-Free Bluray Player? Forget it! Understandably, there are a lot of people searching for free Blu-ray player software or region free Blu-ray player. Often people are looking for free Blu-ray 3D players too. And while it is clear that there are not any standalone players for free similarly to all other hardware devices on the market, the answer concerning both software and region-free players is not obvious. So, here is the current situation. There is not any BD player software that is free. At least, not a legal one. And it is valid for all of the markets: Windows, Unix, Mac, etc. The not so pleasant reason behind this fact is that the founding companies and patent holders (Sony, Philips and Panasonic own most of the patents concerning the Bluray disc technology) still require license fees for any kind of BD related device (player or recorder), disc or software and these fees affect any hardware or software unit that has been manufactured. There are some BD drives that come equipped with OEM software for BD playback but usually, OEM software versions are stripped of many features and they are hardly ever updated. Since there are not free Blu-ray player software programs, the only option, if you don't want to become a software "pirate", is to get a commercial software package. You can check which are the available players on the market here. Their prices currently range from $50 to $100 with frequent significant discounts. You can also download free trial versions of the 2 most popular BD player software programmes by using the following links: Cyberlink PowerDVD 12 Ultra and ArcSoft TotalMedia Theatre 5. Similarly to the case with the free software BD players, there are not any region-free or multi-region Bluray players for sale. The reasoning behind the existence of BD regions does not seem very comprehensible. There are probably some questionable benefits for the movie studios but the region codes are definitely a big problem for any devoted BD fan around the world cause it may happen that a movie is released only in a particular Blu-ray region or that a release for another region is better than the one for yours. So, while there are not any out-of-the-box multi region solutions, you can still explore the following links and read a couple of software region free Blu-ray player suggestions as well as a couple of hacks for dedicated standalone players. If you don't like selling, buying or processing anything as a career, your only option seems to be kickboxing. Except for making a girl happy. 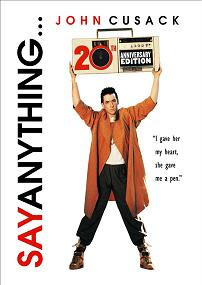 As a career... As strange as this may sound, it's pretty much the main idea of Say Anything.... The movie has been turning itself into a romantic comedy classic over the years. And it has plenty to offer apart from its strangeness. Being directorial debut of Cameron Crowe (who is also the writer), the film deserves even more praise for its good execution and the freshness it provides. Say Anything... tells a conventional story with an unconventional approach and even at moments when the film lacks originality it is not boring at all. The movie is a romantic teen comedy and this says a lot about its plot. But Say Anything... is also capable of surprises. The usual role of the more mature and purposeful partner in the relationship this time is given to the girl. The boy is the person who wants to dedicate his future to the woman. Lloyd (John Cusack) is a pretty simple guy who possesses the important knowledge he doesn't know what he wants to make with his life so after having a chance to spend some time with Diane (Ione Skye) he decides that making her happy is probably a good (if not the best) job for him. Diane is the valedictorian of her class who has won a scholarship for a famous college in England but after meeting with Lloyd she does not only find love for the first time but she also discovers beauty in the simple things. Say Anything... sports many qualitative dialogues with plenty of memorable lines. A few examples could be Lloyd's thoughts on the "choosing a career" topic, the "being friends with potential" conversation and "I gave her my heart, she gave me a pen" quote but there is a lot more of ordinary, yet clever and effective talking throughout the movie. The writing does not offer any unexpected twists or a genuine plotline. 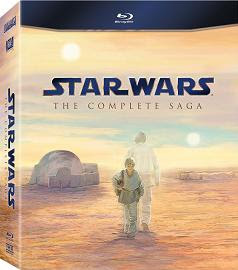 What makes it good though, lies in the details as the already mentioned dialogues or the particular events that happen. The film is also spared from the cheap teenage humor plaguing the majority of other similar movies, which is a big plus for it. The cast of Say Anything... is worthy as well. John Cusack makes one of his best performances and the scene showing him standing with a boombox in front of Diane's house is probably among his most memorable ones. Ione Skye is charming as Diane Court and John Mahoney is wonderful as her father James Court. Lili Taylor in the role of Corey, one of the female friends of Lloyd Dobler, portrays an interesting character although being a bit annoying with her constant talking and self-written 65 songs about her ex Joe. Cameron Crowe, except for the good writing job, should also be admired for the entire filmmaking of this movie including directing. Of course, Say Anything... is not void of imperfections. The main plot is unoriginal. There are some scenes and characters that are not must-haves. Some of the events and a big part of the narrative although being possible are not among the most probable things to happen. But does someone really care about such flaws if the movie is entertaining and makes you a teenager again having a strong empathy with the screen couple? Do not say anything... If you love romcoms, this one is for you.